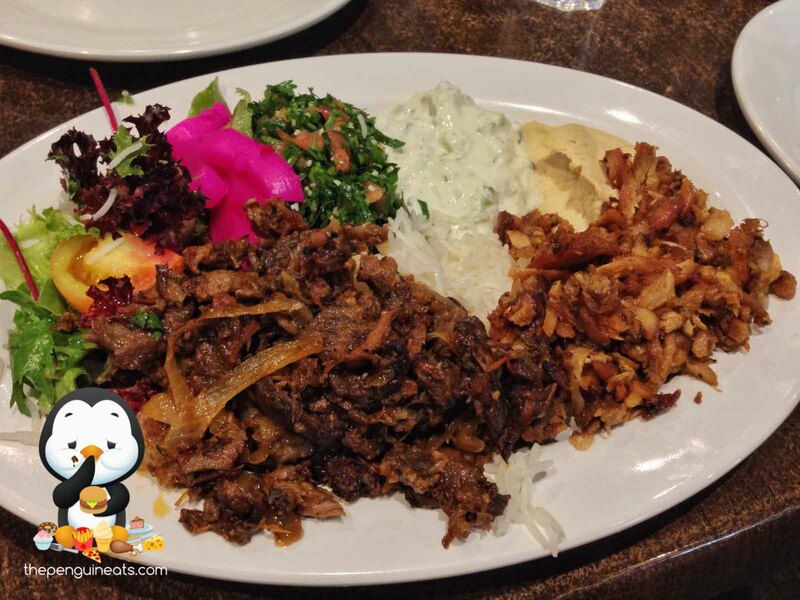 The lamb in the mixed shawarma was simply delicious. Very well seasoned with caramelised onions and various spices. Lamb was relatively tender and was the highlight of the meal. The Tabouli salad was extremely fresh. Great, non-overpowering dressing brought it all together. This went extremely well with the lamb. The hummus and a tzatziki was fine. Nothing too special but was nice enough to eat by itself or as a dipping sauce for the lamb and chicken. 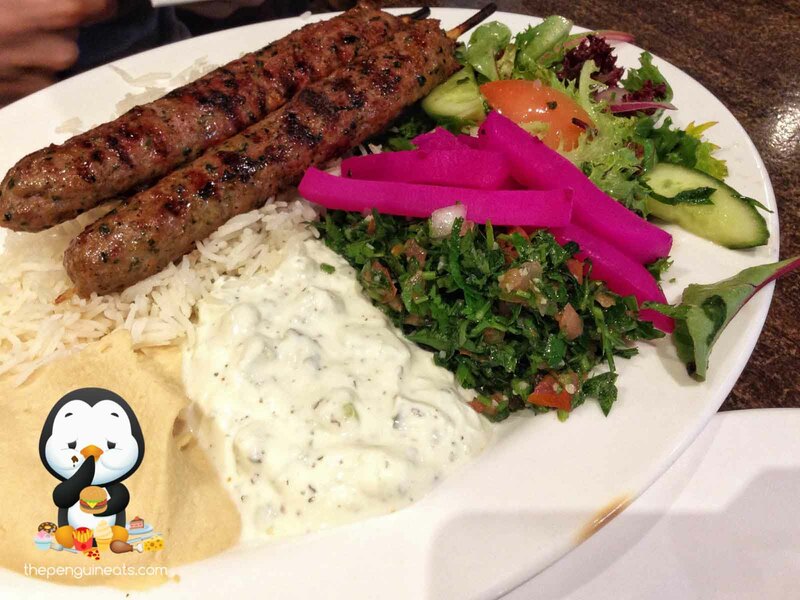 The lamb shish khafta was quite ordinary. Just seemed like your average lamb sausage with a bit of seasoning and leaned towards the dry side. A bit uninspired compared to the shawarma. The chicken in the shawarma was very very dry unfortunately. Felt just like an old, over-roasted chicken carved up and served. Overall a decent meal. I cannot emphasise enough how well each of the components of the dish went together. Free pita bread is also awesome of course to wipe up all those sauces.